A Stylish collection and wide assortment of beautiful planters with a modern touch and clean-lined finish. This collection protects your plants against winter frost and the summer heat. Great for indoor and outdoor use. Change your living space beyond recognition. This 11.4-in square planter is part of Prosperplast LOFLY collection - a modern style and sophisticated shapes with a multitude of vivid intense colors. Suitable both for indoor and outdoor use. The pots are made of High Quality Polypropylene, very durable and UV resistant which guarantees unchanged colour and shape for a long time. 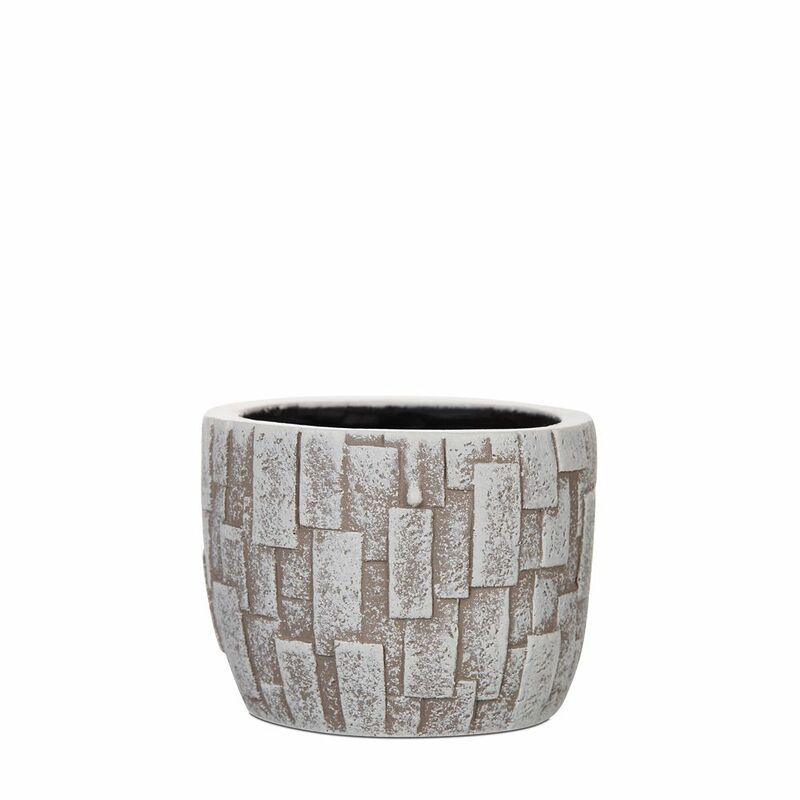 Egg planter stone III 5.5x5.5x5.1 inch ivory A stylish collection and wide assortment of beautiful planters with a modern touch and clean-lined finish while adding a welcoming refreshing touch to porches, entryways, decks, poolside and indoors.